The First man Adam and the first woman Eve became slaves to the maneuvers of the devil, committed sin and fell from the grace of the Lord. Then the Lord appeared in the Garden of Eden, saw the wicked devil which deceived them and said, “And I will put enmity between you and the woman, and between your offspring and hers; he will crush your head, and you will strike his heel” (Genesis 3:15). we get filled with the lust of sin, and we fall short of the glory of the Lord (Romans 3:23). As the wages of sin, which is death, fills man, he will lose his peace and be caught in darkness, evil, failures, deception of the devil and the fury of the devil (Romans 6:23). The Israelites were slaves in Egypt. They were forced to cut bricks but they were not given the main ingredients to make the bricks. They were asked to work to construct cities for Pharaoh. The Lord heard their groaning. The day of deliverance came. The word of the Lord came through Moses (Acts 7:34). The Egyptians lost their firstborns. The son of Pharaoh was also killed. There was loud wailing in Egypt (Exodus 12: 29-30). Their farmlands, water and even their livestock were destroyed. They cried. Pharaoh summoned, “Up! Leave my people, you and the Israelites! Go, where you wish to go” (Exodus 12:31 – 33). “And will not God bring about justice for His chosen ones, who cry out to Him day and night? Will he keep putting them off? I tell you, He will see that they get justice, and quickly” (Luke 18:7-8). Yes! he heard the groaning of the Israelites and did justice to them. 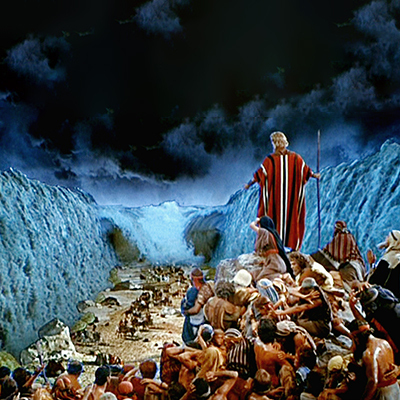 He led them to the Promised Land. He will listen to your groaning as well (Psalm 34:17; 145:19). As the Lord shatters the rod of the oppressor and delivers us from slavery, the day when His promises will be fulfilled is coming (Isaiah 9:4). Therefore, don’t be troubled for you will have deliverance - this is the year of deliverance. How does the Lord bring deliverance? In order to bear the sins of each and every person, Jesus surrendered Himself as a sacrifice. He shed His pure blood which did not know any sin, so that our sins may be wiped away, to deliver us from the clutches of the devil. All those who believe that He shed His blood to wipe away our sins will be transformed from the situations of being the children of evil and sin and are given the right to become the children of God (John 1:12). The thief comes only to steal and kill and destroy. But the Lord Jesus came to give us the fullness of life (John 10:10). He brings us into the light and makes us enjoy all the blessings. This grace will come upon you this year. When we say, ‘Jesus, wipe away all my sins with your blood’, Satan who is accusing us, will fall like lightning from heaven (Luke 10:18). In the same way, Satan, who has you in his clutches, will also fall. This year shall be a year of deliverance for you. The Lords keeps His name on your foreheads. 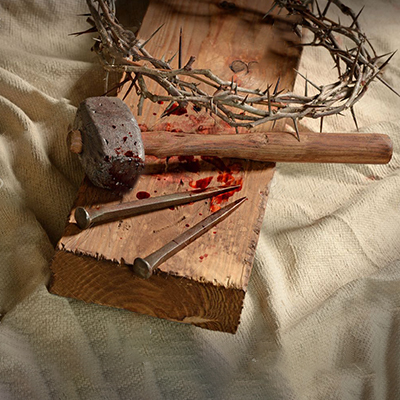 Therefore no harm shall bother you (Mark 16:18). You will crush the head of the devil (Romans 16:20). The Lord gives you that authority. There was a woman who had been crippled by a spirit for eighteen years. Jesus called that woman forward, who was crippled due to the problems given by the devil and said, “She is the daughter of Abraham, the daughter of promise and the child who made the promise with my name”, and He touched and healed her. She straightened up and praised the Lord (Luke 13:11 – 17). She who was crippled for eighteen years seeing only the ground was able to straighten up and look at the skies! She was honored. After the miraculous healing, wherever she went, all would have welcomed her. It will happen to you the same way during this year! Satan brings sickness into us. Are you suffering from the clutches of sickness saying, ‘I have done all the tests’? Are you troubled that the doctors could not identify what your sickness is? The reason is the devil. It is the devil who has kept this disease in you. But, Jesus, the Son of God, appeared to destroy the works of the devil. This year is going to be a year of deliverance for you. The Lord will make you to stand up straight. You may have been crippled due to shame and reproach. You may have gone through shame due to losing your job. You may have lost your money. You may have lost you holiness. You may have lost your family life. You may have faced losses in the stock market. You may have lost your anointing. You may say that you are not able to pray due to these problems. You may have become blindsided due to these problems. The Lord Jesus is coming to you. This year He will lift you up. All the honor and respect which you lost, you will regain. Are you suffering due to obsessions of the devil? Are you downcast because you don’t have a child? Are you facing failure after failure? This year the Lord will break all the clutches of the devil and make you stand up straight. Be courageous, strength and power will be seen in your life. I would like to share the testimony of Sister Selvi who has written to me about the deliverance in her husband’s life through prayers. My husband’s name is Muthukumar. We reside in Bengaluru. It’s been nine years since we got married. We have two daughters. My husband is a person of good character, but he was a slave to the habit of drinking alcohol. In a week, he would drink two to three times. Therefore, often he met with accidents. In one such accident, he had a fracture. Another time, he got injured very badly and was admitted in the ICU. Since he was continuously taking alcohol, he felt that his eyesight was affected. No matter how hard I advised him, he could not come out of the habit of drinking. I was regularly watching the ‘Jesus Calls’ TV program in the mornings. One day, my husband also watched the program along with me. When you were praying, suddenly without his knowledge, he too knelt down closing his eyes and started to pray. Surprisingly, from that day onwards he was delivered from his drinking habit! By the grace of the Lord, now he is healthy. Praise the Lord! Are you being a slave to sin? Like Bro. Muthukumar, the Lord will deliver you this year. Have wicked people distressed and dishonored you, that you are crippled in society? Have they persecuted you? Are those in power making people crippled? Have they destroyed your life? Have they pushed you down so that they may be in power? This year the Lord will destroy the works of the devil. He will make you who are crippled to stand up straight. He will make the situations and your wealth to stand up straight. This year the Lord will do mighty things to give you two times the honor from the shame. You will search for the ones who troubled you and your enemies. But will not find them (Isaiah 41:12). This year, in the name of Jesus, I pronounce this blessing on you. If you are crippled due to the clutches and works of the devil, the Lord Jesus will make you stand up straight. You will be honored. All the ministries, all those who have received the calling from the Lord and everyone in the community will receive the deliverance. You will stand up straight. All that you had lost, you will regain. The Lord told me that He is going to deliver everyone by touching them with His power. 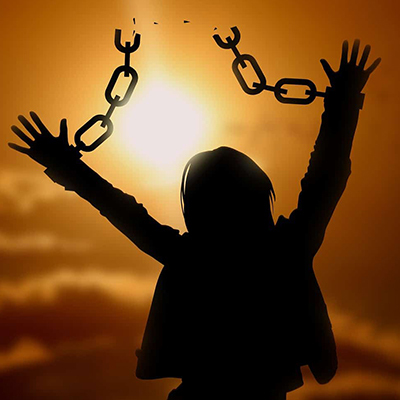 In order that we may be delivered from our shackles, Christ fills us with His Holy Spirit. When the Spirit of the Lord comes into you, He will make you stand up straight. He will deliver you from all the clutches. This year the Lord is going to fill the kings of this world and famous stars with His Spirit. Until now, we were advising about the plan of God to the kings. Even though they received the word from the Lord, they may not have followed it. This year the Lord will fill them with His Holy Spirit. He will transform their lives. They will be transformed like the image of Jesus. We will be transformed like the image of Jesus in order to be delivered from the works of the flesh. This is the year of great deliverance and rejoicing! The Lord will redeem us. He will give us deliverance. Everyone will rejoice and be happy due to that. All the anxieties and helplessness will run out of the nation and out of your lives. He will fill you with the Spirit that brings deliverance. Where the Spirit of the Lord is, there is freedom. This year the Lord will pour out the Spirit on all people (Acts 2:17). He will pour out on the kings, nations, people and languages, on you and on me without boundaries. We shall pray continually (1 Thessalonians 5:17). When we pray unceasingly, the Lord’s plan for us and for the nation shall be revealed. This year, the Lord will pour out His Holy Spirit and deliver us. You will become like Jesus. May the Lord give you this reward! This year the Lord is going to touch the kings. Not only are they going to be prophesied but they themselves are going to receive the leading from the Holy Spirit. They are going to be filled with His Spirit. This is the year of deliverance. In the year 2019, may the Lord bless you and help you enjoy His fullness and give you complete deliverance in your soul, in your life, in your social life and in your spiritual life and transform you like Jesus. Dear Lord, I thank you Father for enabling me to tell what you have planned for your children for this year. Even now, Master, make me and your children enjoy your power of deliverance this year. We pray that all the evil bondages will fall out from our lives, in the lives of our family members, in our society and at all the levels of the nation. Let all the shackles be broken down. Let the Lord’s perfect blessings come down Master. Let complete joy come down. Let the blood of Jesus Christ wipe all the sin and cleanse us. Cleanse us Jesus, our Father. Let all the sins, all the bondages, especially bondages of death, curse, nature of the flesh, nature of the evil be broken. I throw them into hell. By faith we are taking the days of freedom. Let this whole year be deliverance to everyone. Let it be a year of fulfilling what you have foretold. Let it be a year where the kings will receive blessings and the anointing. Let it be a year where the kings bear your nature. We thank you for you are going to bless us with all these and that your name is going to be glorified through us. As a resolution for this year, we give ourselves into your hands and dedicate ourselves to you. We thank you as you are going to bless us. In the name of Jesus we pray, Amen.